The outer shell of the Shadow Glossy is made of polycarbonate, which is a material used for high-end motorcycle helmets. The inner shell is made of polystyrene with variable density providing an excellent dissipation of the energy produced upon impact. The shape memory liner ensuring a constant thickness over the years of use and the semi-rigid jugular cancel all risks of tipping the helmet in case of a violent movement. This internal comfort foam is removable and washable thanks to a strong clip system. Three shell sizes are available: S, M, L. Each shell can accommodate 4 to 5 inner foams of different sizes in order to obtain a perfect adjustment to the rider’s head. The size grid is available from 52 to 61. Equipped with a front air inlet, the Shadow Glossy provides exceptional ventilation. Fresh air is channeled from the front entrance to the back extractors, generating a strong internal airflow. The Shadowglossy helmet is available in black and blue. 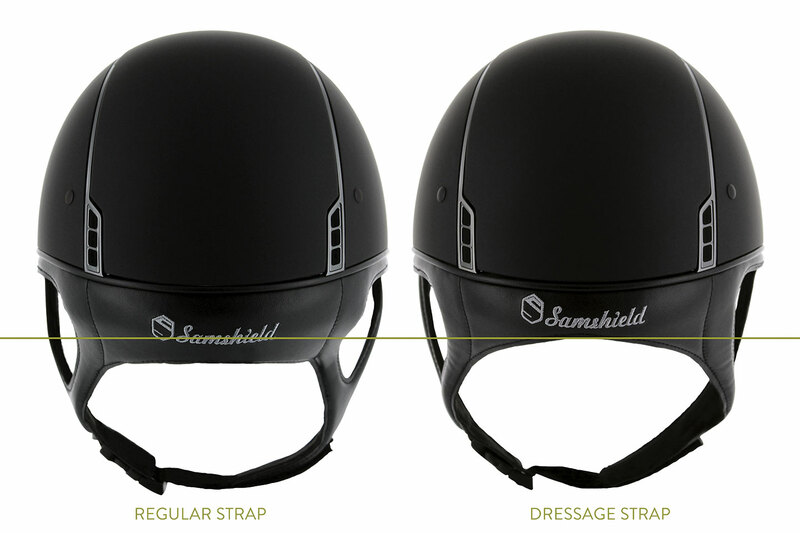 The Shadowglossy is available with the dressage chin strap option: this option allows women to wear their hair in a bun without being constrained by the harness of the helmet. This chin strap is shorter by 2.5 cm in order to allow more room for the hair bun. ANKY Australia imports, distributes and retails an extensive range of high quality European clothing, riding wear and horse products produced by ANKY Technical Casuals.